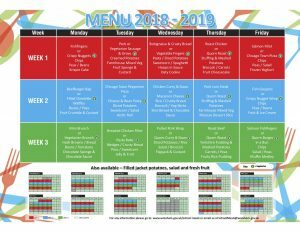 We run a cashless dining system within our school meal service. The system is controlled by the latest technology and avoids the need to have cash. It is designed to provide each pupil with an account. When the child receives a meal in the dining room the account will automatically be charged. Each pupil has an individual account which will need to be kept in credit by the parent/guardian. Pupils on free meal entitlement will be issued with an identical account. The value of their meal will go on to the account each day. This will prevent any possible discrimination. The system will make information more accessible to you. The burden of finding change each day is removed. Balance statements and description of food purchased are available on request. Money in the pupil account can only be spent in the school dining room. There is less chance of money being lost. All money for meals has to either be put directly onto the revaluation machine or cheques placed with the child’s name and form number clearly marked into the cheque box. The revaluation unit and the cheque box can be found in the reception area. Please note that accounts can be credited with any amount but change cannot be given. Remember: You can also pay on-line using your unique 10 digit PIN number. Click on the picture to see full menu. Following a school holiday the menu reverts back to Week 1.